The Marvel Comics Wolverine Legendary Scale Figure from Sideshow Collectibles is available for pre-order! He’s the best there is at what he does, but what he does isn’t very nice! First appearing in The Incredible Hulk #180(1974), Wolverine has become one of the most popular characters in Marvel comics. This magnificent statue features the X-Man stalking his quarry, ready to battle. It is to 1:2 scale, standing 31″ high, and sure to be the piece in which the rest of your Marvel collection revolves. 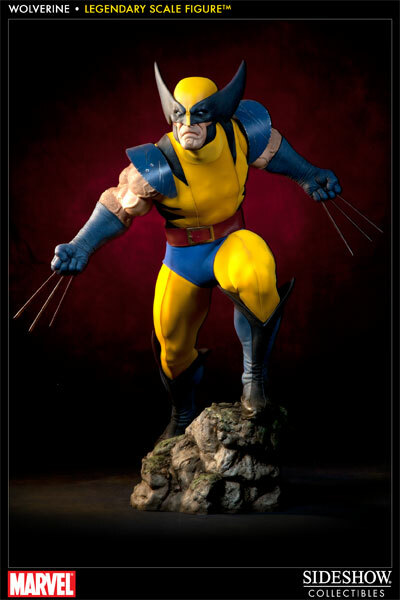 Pop those claws and leap over to Sideshow Collectibles to pre-order this impressive Marvel Comics Wolverine Legendary Scale Figure today!